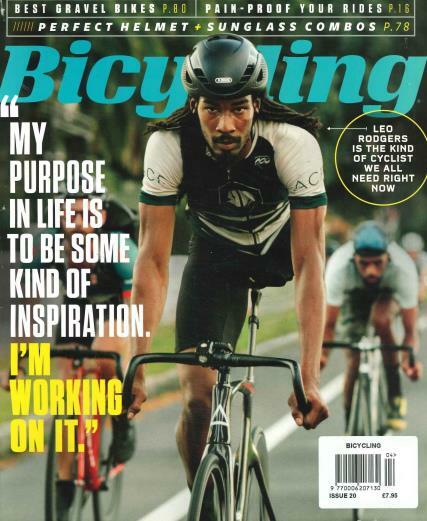 Bicycling Magazine provides information on cycling including new bike reviews, bike gear, reviews of equipment, plans for cycle training, and interviews with cyclists, and bike maintenance.Buy a single copy or subscription to Bicycling magazine. The magazine provides information on cycling including new bike reviews, bike gear, reviews of equipment, plans for cycle training, and interviews with cyclists, and bike maintenance. In the magazine you will find reviews of new bikes and information on gear including apparel, bike equipment including bike headlights, satchels, wheel systems, and hydraulic road brakes. You will also find reviews of shoes, bike tools, helmets, and accessories like eyewear and floor pumps. There are articles on training and nutrition, injury prevention, and information on weight loss. Bicycling Magazine is the resource for information on how to get ready for biking, how to take care of your bike, where to bike, where to find bike races, and what equipment or bikes to buy. It is also the publication for taking care of the biker, what to eat before you cycle, and what to eat while cycling, and how to take care of yourself before and after biking. Get all the information you need on upcoming races, the results of competitions, and race analysis. I am on a bit of a health and fitness kick, so this magazine has been a great help to me improving my cycling technique and stamina. The magazine is american, so the articles about great rides aren't relevant to me, but the other articles on fitness, technique, bike reviews and maintenance tips are all good info.